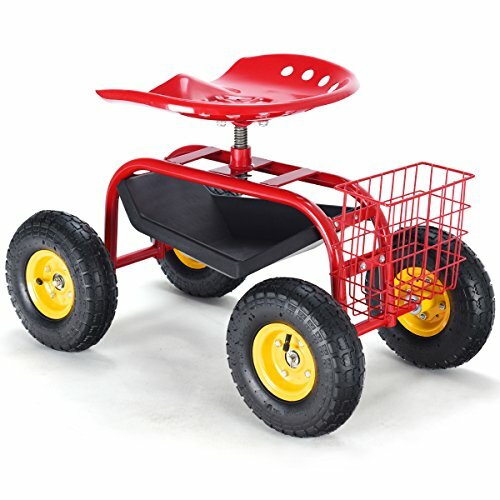 Goplus Garden Cart Rolling Work Seat Outdoor Lawn Yard Patio Scooter for Planting, Adjustable Swivel Seat w/Tool Tray (Red) by Goplus at The Net Stores Network. MPN: 4316509746. Hurry! Limited time offer. Offer valid only while supplies last.